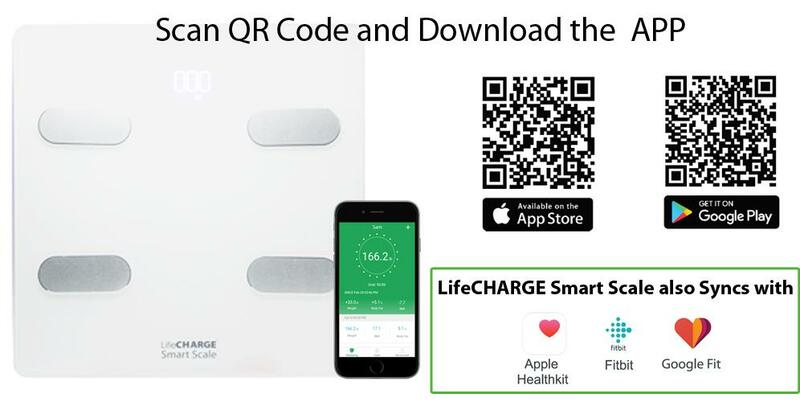 LifeCHARGE Smart scale connects your real-time body metrics to a world of data charts, social sharing, and fitness tracking. 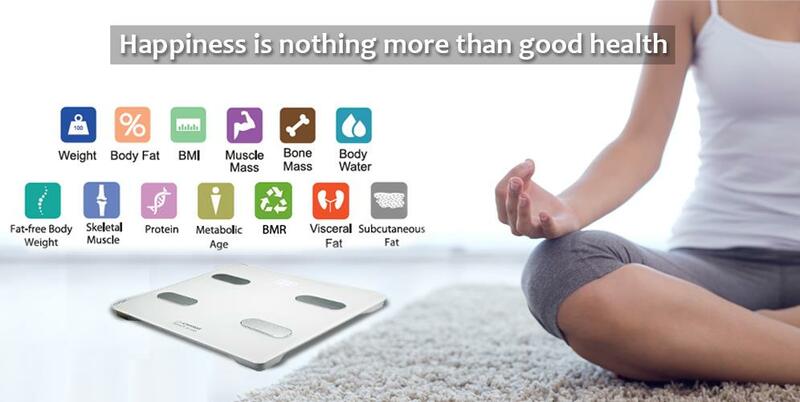 Simply step on the scale and within seconds it takes 13 different essential health measurements. 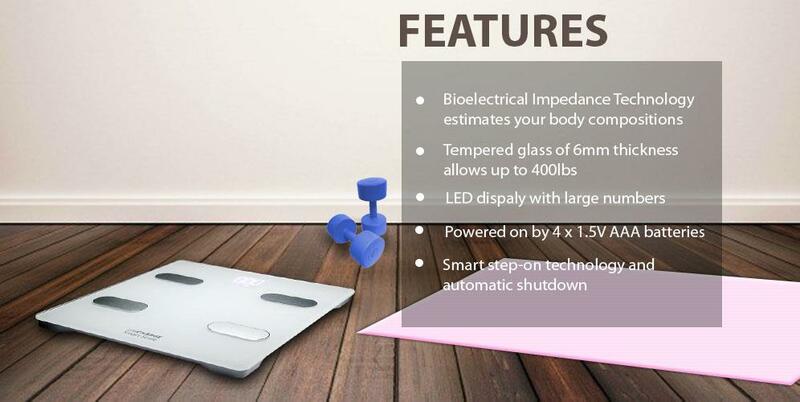 LifeCHARGE Smart Scale & Body Composition Analyzer utilizes new ITO BIA technology to track Weight, Body Fat Percentage, BMI/BMR, Bone Mass, Hydration Level, Muscle, and Body Age to help you and your family measure and manage your health stats and giving you comprehensive data about your health. The Feelfit app allows you to add 9 users that you want, so it is perfect for all families, big or small. With Feelfit app, you are able to set your goal and plan, track the progress every day in line charts and reports. It allows you to achieve your fitness goals. 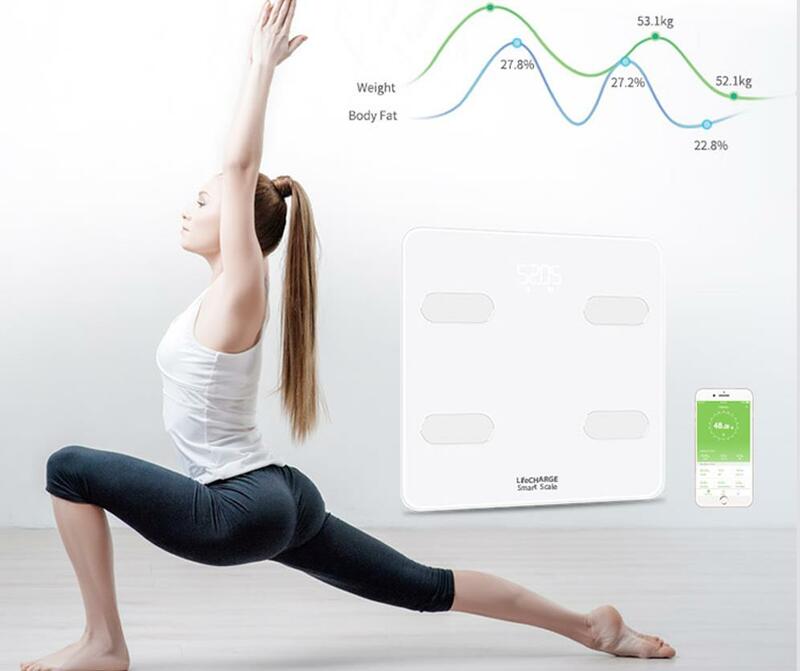 The Smart scale Body Analyzer is useful for the regular basis of long-term measuring of body components that are making this device the great tool for targeted weight control for people who are seeking an efficient way to diet and exercise. 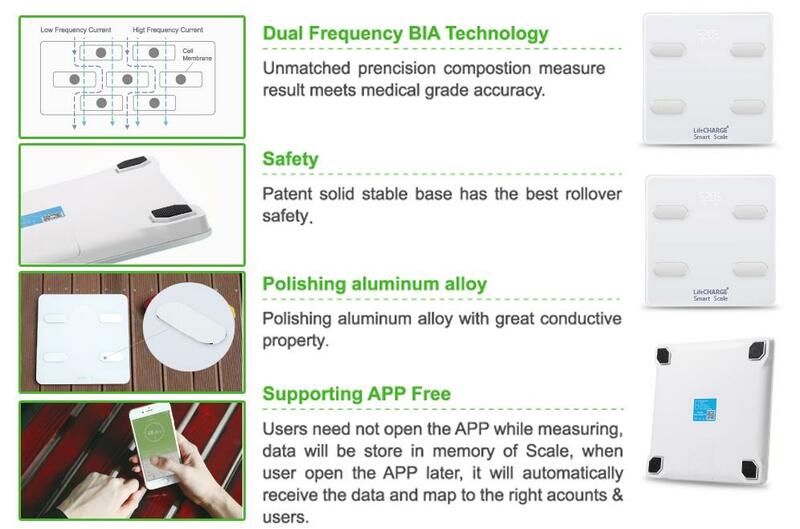 Through an undetectable electrical current transmitted through your body via the stainless steel pads on the scale platform – also known as Bio Impedance Analysis, or BIA – LifeCHARGE Smart Scale and Body Composition Analyzer measure your body fat percentage, muscle mass, bone density, and water weight. Individually, these vital body composition statistics can indicate changes you need to make to your lifestyle, workout, or daily routine, but all of them together give you an accurate and complete picture of your overall health status. Compact Design - 3.3inch highlight LED Display, Use high quality impact-resistant tempered glass which is 4 times stronger than common glass. LifeCHARGE Smart scale Bluetooth smart scale has a simple sleek and modern design, with the classic white color, it fits perfectly with all kinds of bathrooms or bedrooms!